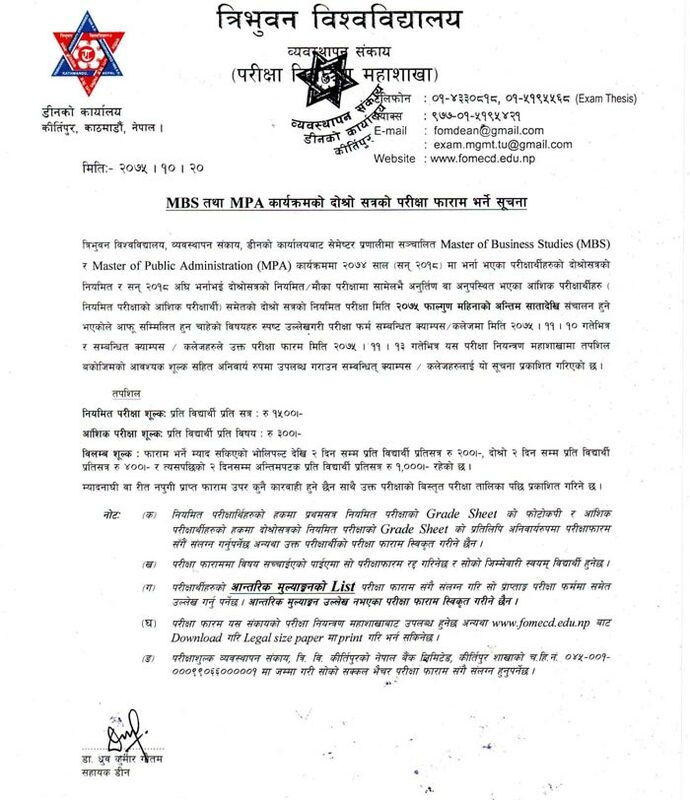 Tribhuvan University Faculty of Management has published examination form fill up notice for Master of Business Studies (MBS) and Master of Public Administration (MPA) Second Semester Regular Examination of 2018 Batch and Partial Examination of earlier batches. The examination starts from the last week of Falgun. Applicants are requested to submit the application form to their respective colleges within Falgun 10, 2075. > Partial Examination Fee: Rs.300 per student per subject.